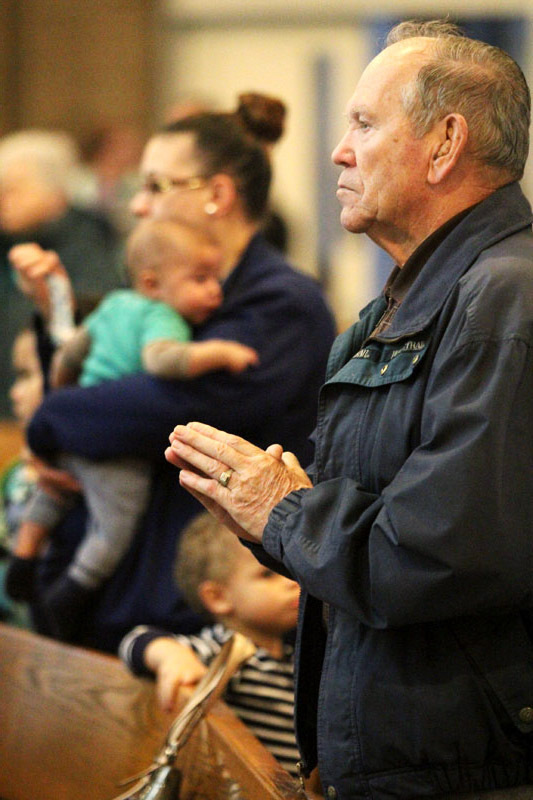 Father Thomas Nasta washes the feet of children, parents, grandparents and members of the deaf community to represent all the people of Our Lady of Ransom Parish. 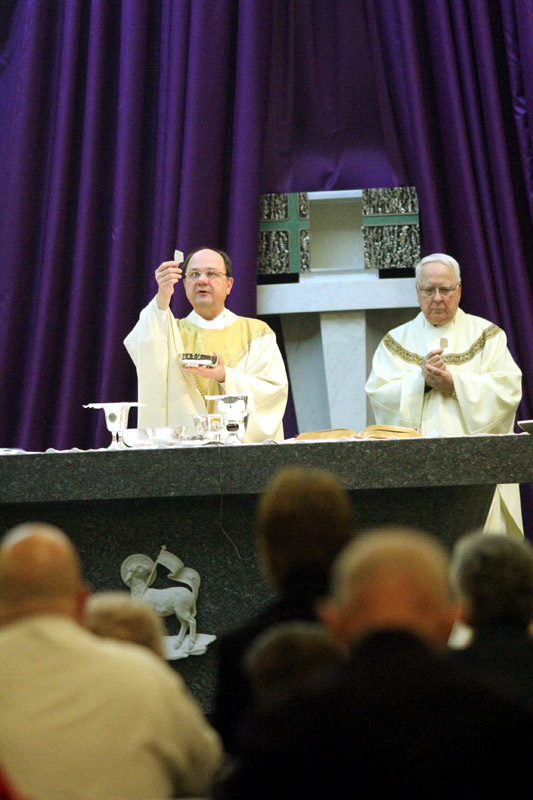 Father Nasta presents the Eucharist during the Lamb of God, along with a concelebrating priest, Father Edward Rauch, O.S.F.S. 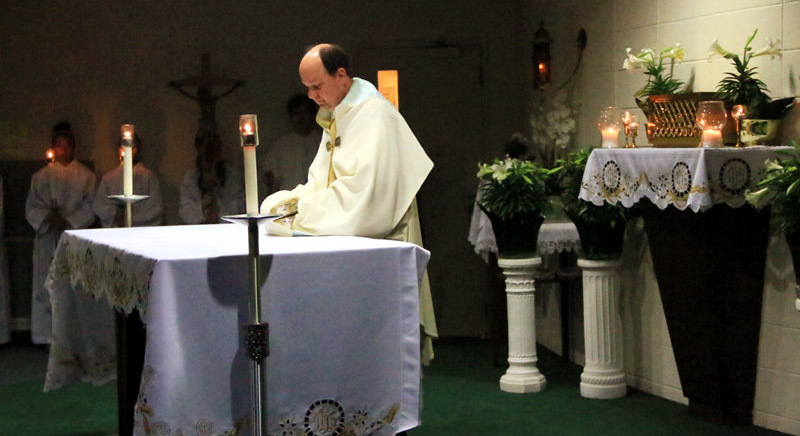 After Communion, Father Nasta transfers the Eucharist from the church to an altar of repose until the Easter Vigil on Holy Saturday night. 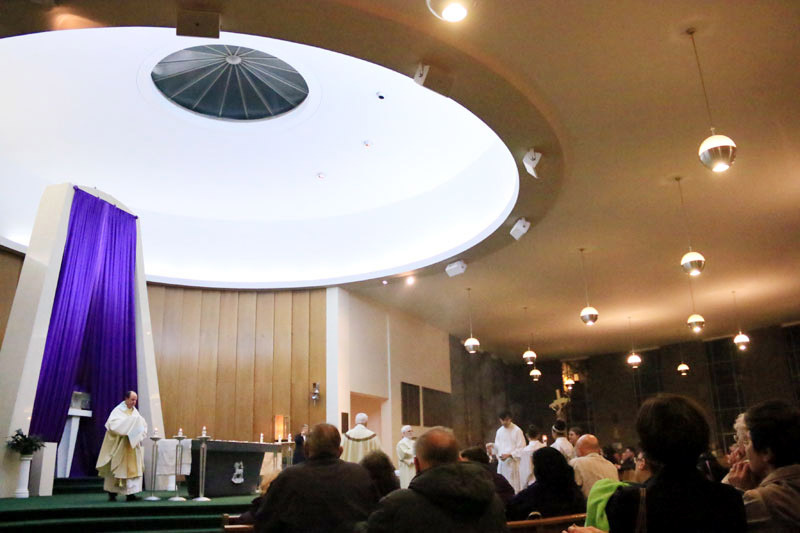 Father Nasta transfers the Eucharist in Our Lady of Ransom’s chapel. 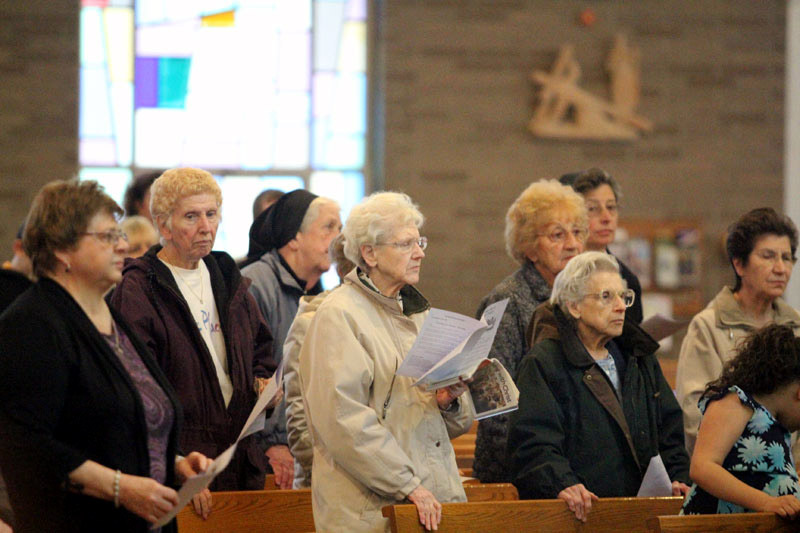 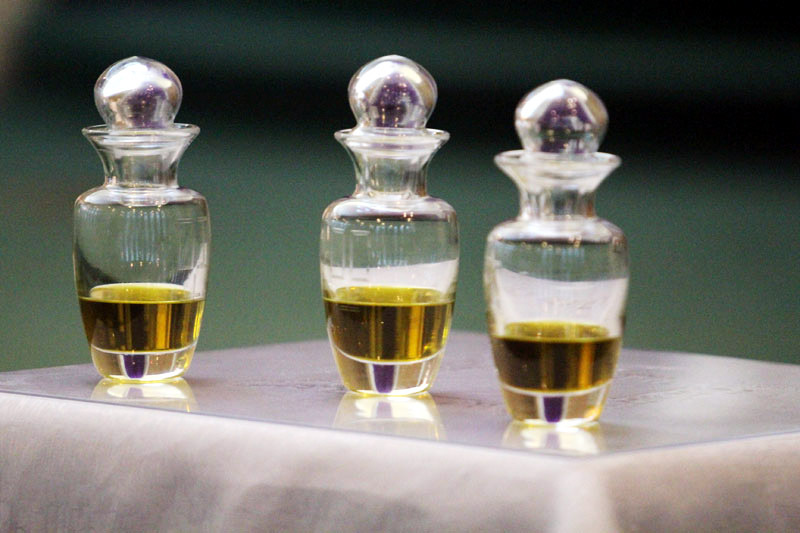 In a special rite, parishioners brought up the holy oils that had been consecrated earlier on Holy Thursday morning at the cathedral and placed them in the parish church for sacramental use throughout the year. 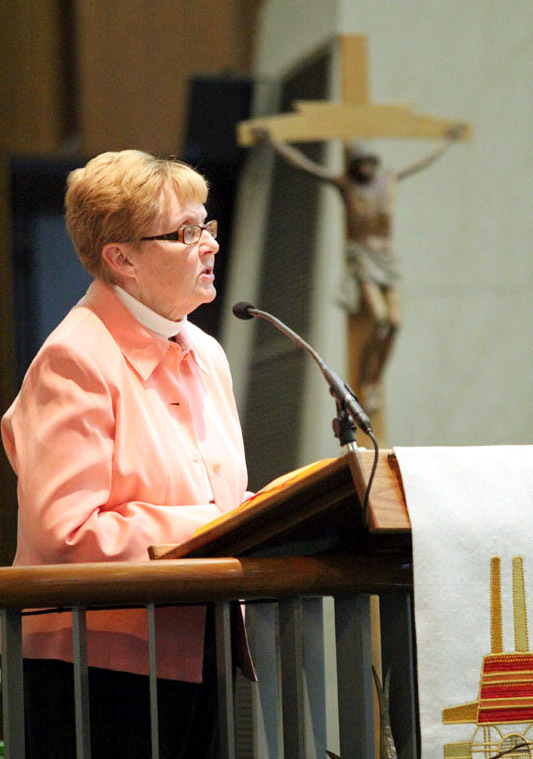 Above, Karen Moylan brings up the oil of the sick. 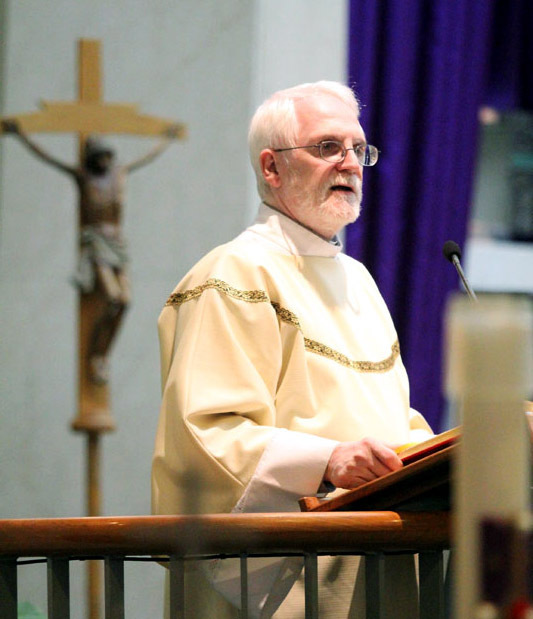 David Moylan brings up the oil of catechumens. 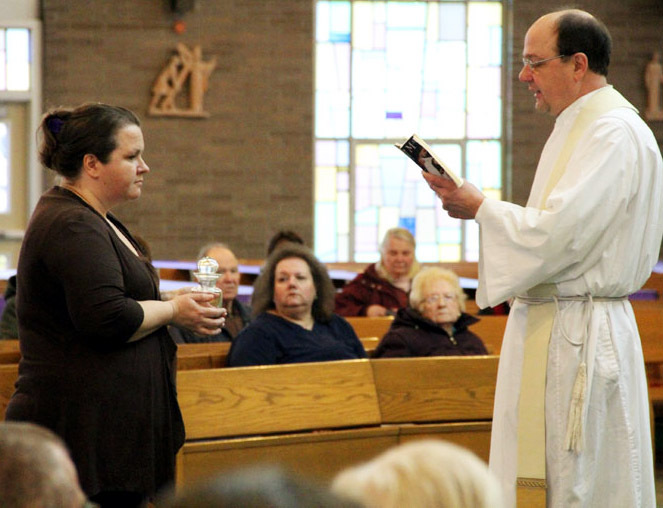 The oils of the sick, of catechumens and of chrism. 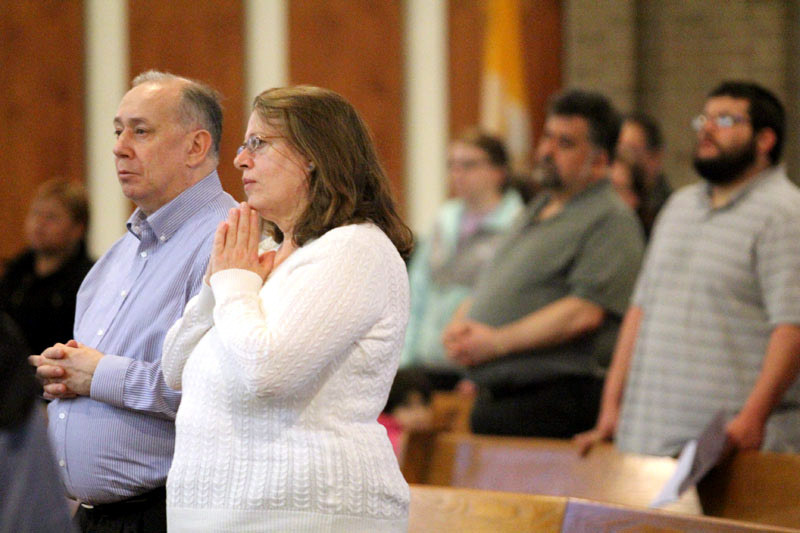 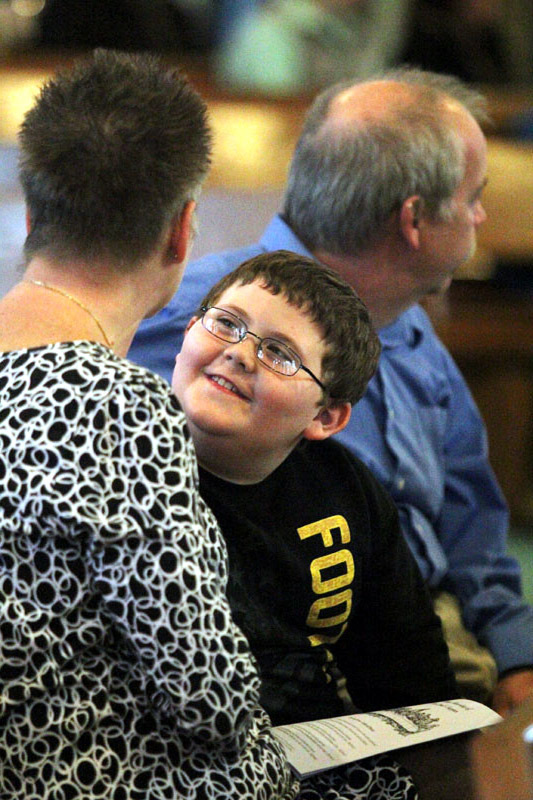 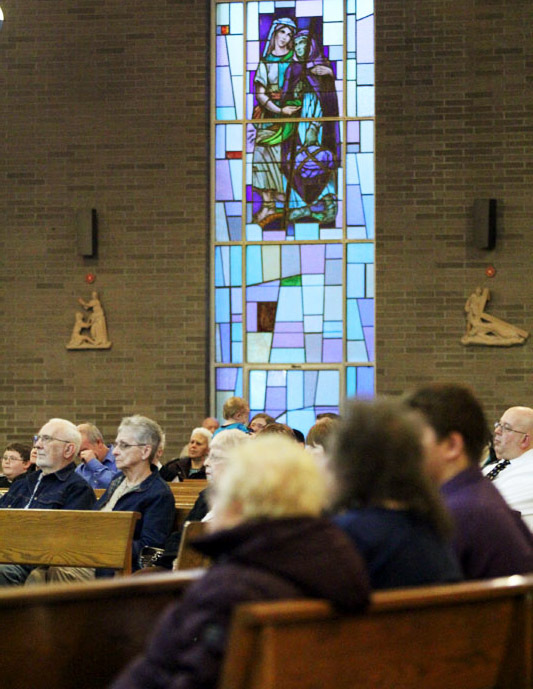 From left, Dawn, JJ and Jeff Gillard participate in the Mass. 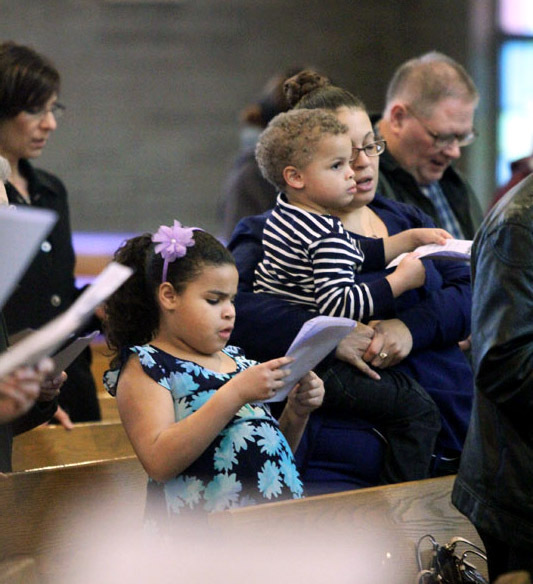 Avonlea (left) and Calvin Warner with their mother Jacqueleen Justiniano. 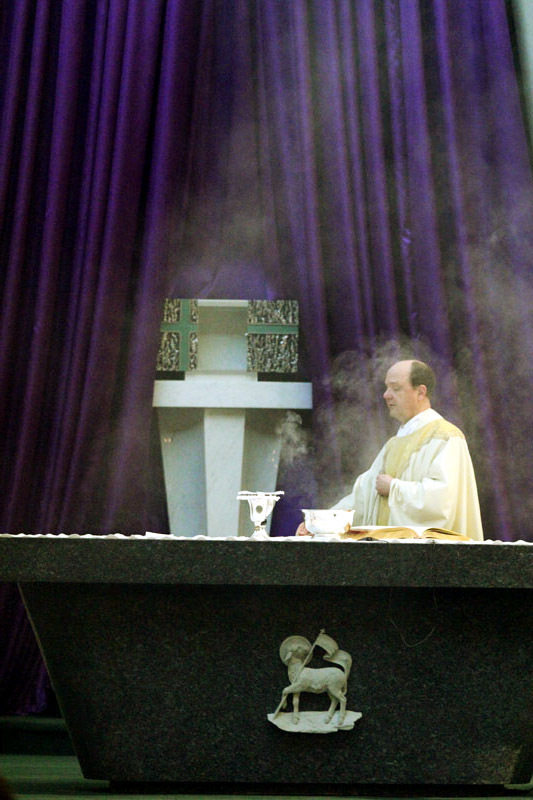 Father Nasta incenses the altar at the start of Mass. 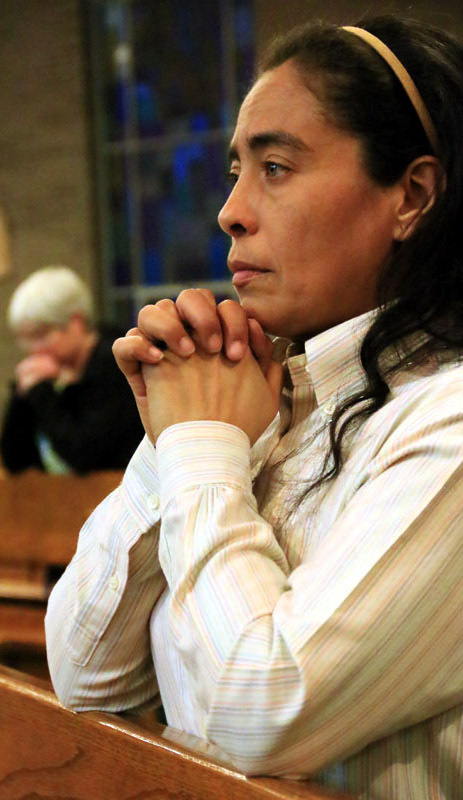 Sister Kathleen Schipani, I.H.M. 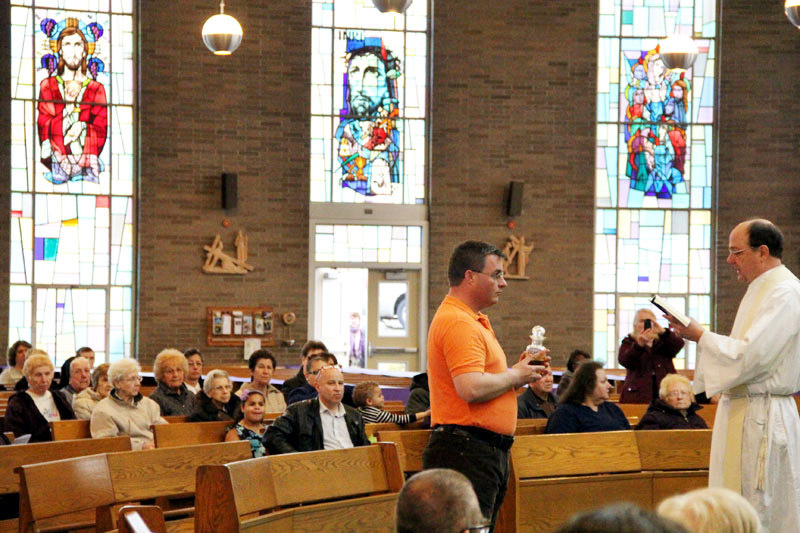 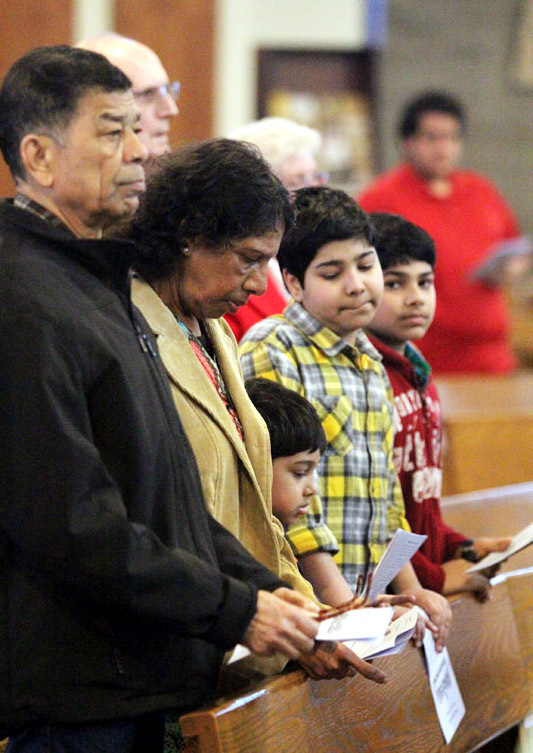 (right), translates the Mass into sign language for the benefit of parishioners and guests of Our Lady of Ransom, as Father Nasta and Deacon Ralph Shirley (left) pray the liturgy. 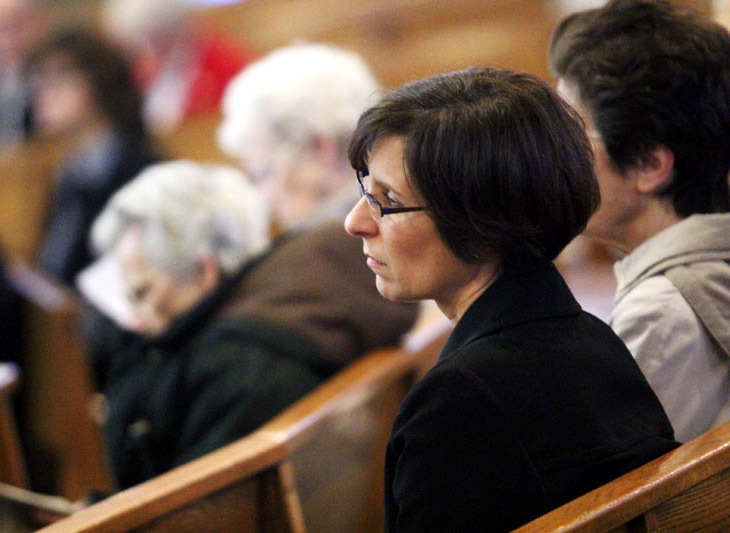 Donna Hanson listens to the readings. 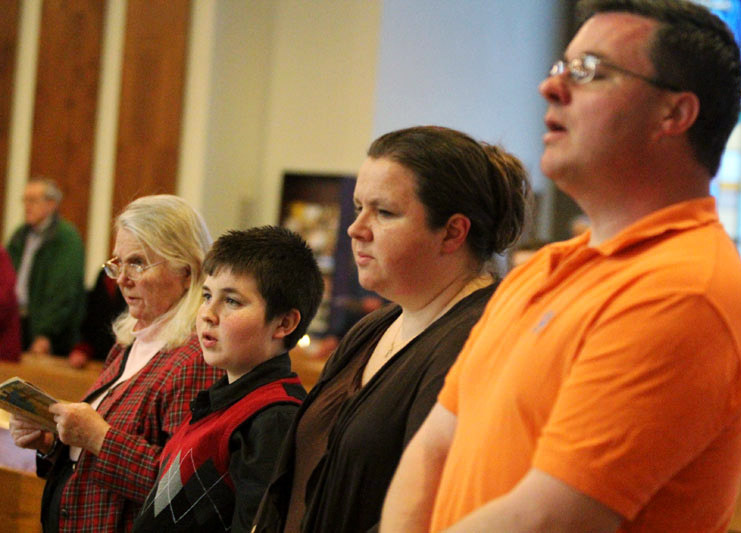 From left, Irena Jankowski prays with Jared, Karen and David Moylan. 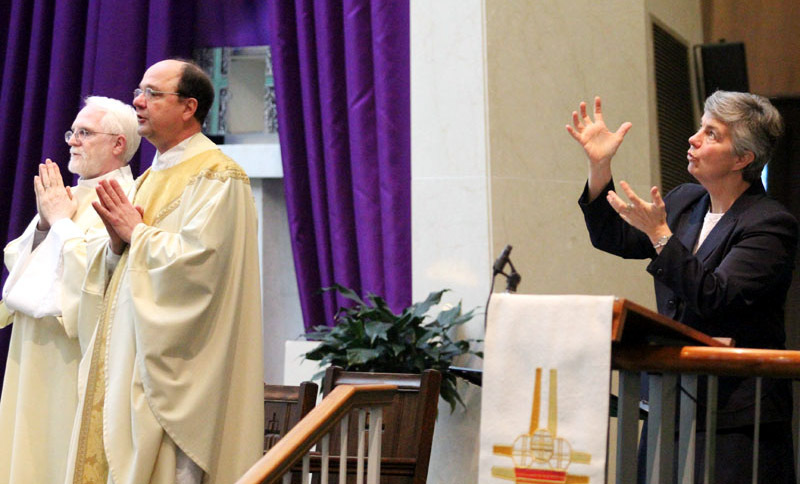 Deacon Ralph Shirley proclaims the Gospel. 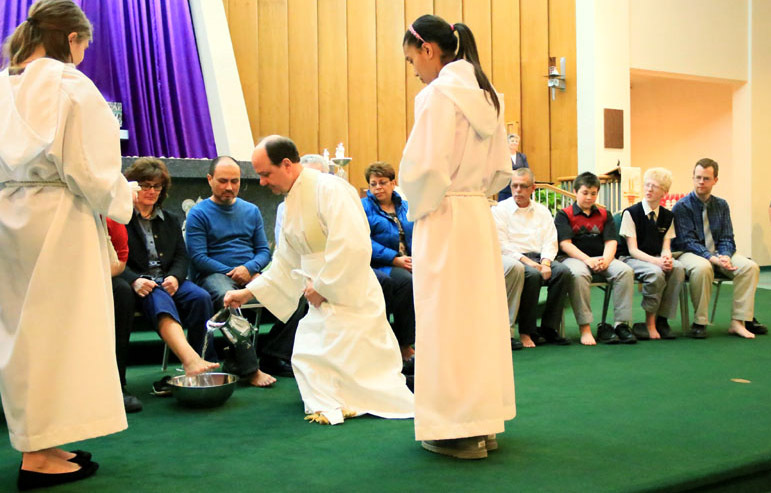 Avonlea Warner has her feet washed by Father Nasta. 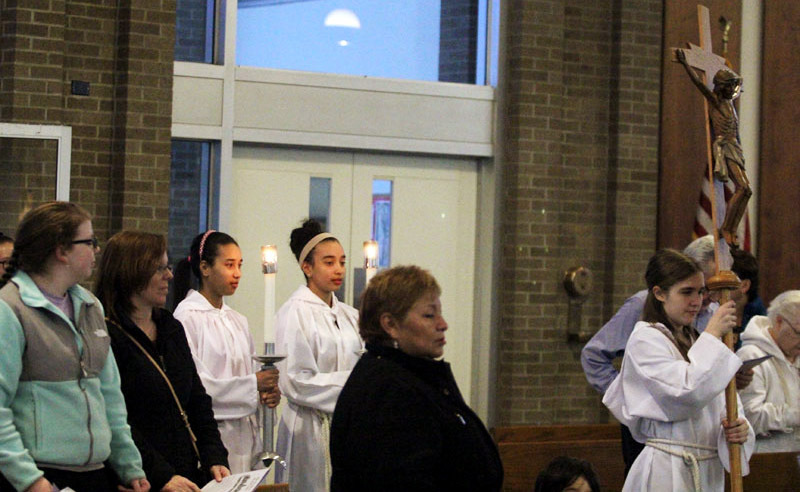 Father Nasta washes the feet of Francis McDermott as Maria Aviles watches. 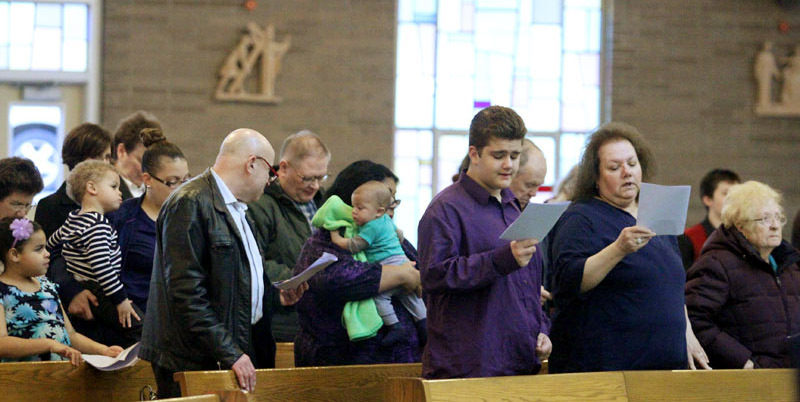 Father Nasta washes the feet of Jared Moylan. 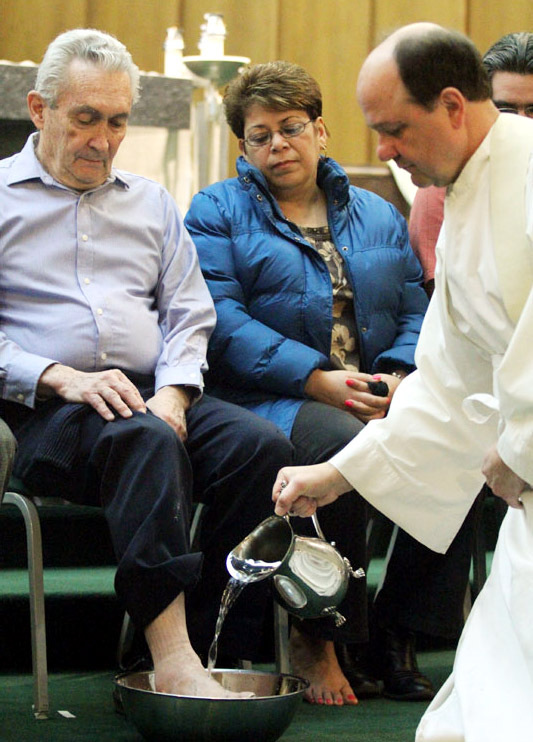 Father Nasta washes the feet of the people of the parish. 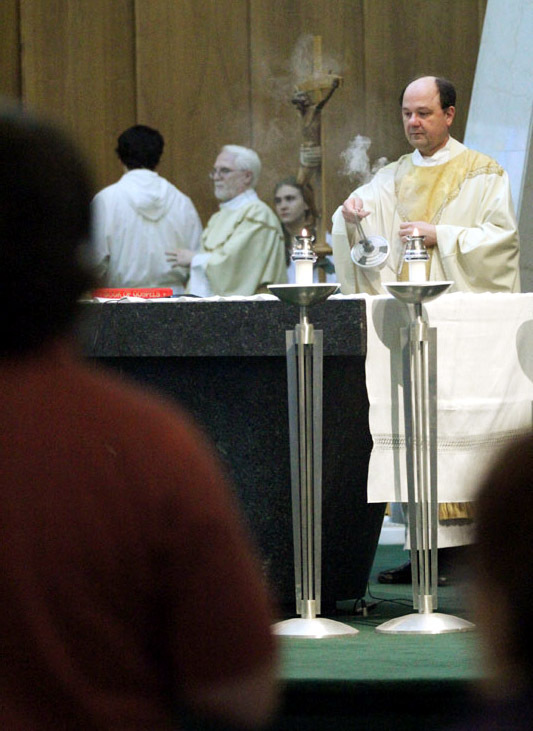 Father Nasta incenses the altar during the Liturgy of the Eucharist. 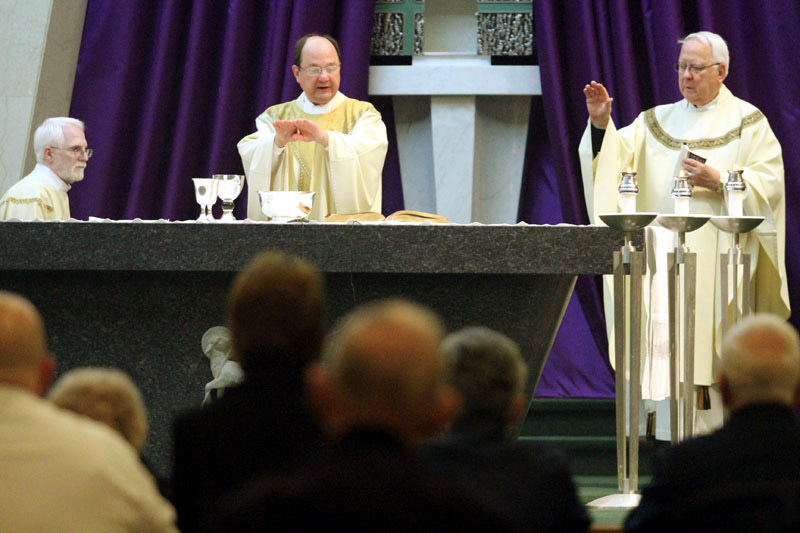 From left, Deacon Shirley, Father Nasta and Father Rauch. 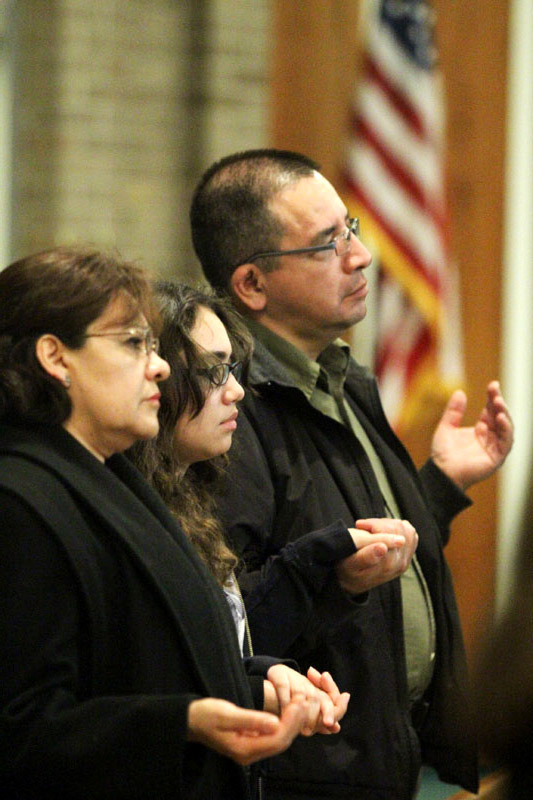 From left, Pilar, Elizabeth and Ed Leyva hold hands as they pray the Lord’s Prayer.